In 2012, a survey found out that 8.5% of the American population has suffered from substance abuse or dependency. Maybe one of your family members or friends are part of that 8.5%. Maybe you want to help them but have no idea how. When your friend gets out of their treatment center they’ll need all your support. Learn how to help an addict stay sober in this post. While your friend was in rehab, they were isolated away from any drugs or drug paraphernalia. Now that they’re trying to rejoin society, there are temptations all around them. You can help them by trying to keep them away from those temptations. 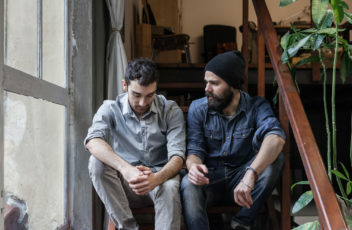 If you invite them over to your home, make sure you don’t have anything that they can use or will cause them to think about breaking their sobriety. You also shouldn’t take them anywhere that will tempt them. Instead, help them research different support groups in the area, and maybe offer them a ride there and be the one who holds them accountable for going. You should be one of the people in their life who offer them a safe space to continue their recovery. One of the best thing you can to do help an addict is to just be understanding and accepting of them. They may already feel judged by others and society in general, and you being there for them and providing a safe space for them can make all the difference in the world. If they trust you, they are more likely to open up to you when something is going wrong and make them feel more comfortable with trusting you. Try not to be negative and critical of them all of the time. Chances are that they’re already doing it to themselves with their own thoughts and actions. Be like a breath of fresh air from that. Show them love. Invite them to go out to the movies. Invite them to go out for ice cream. Invite them over for a game night. Show them that someone cares about them. You can also show you care by listening to them without judging what they’re saying or criticizing every little thing they do. Just because they are out of rehab doesn’t mean that they are going to be perfect. 85% of addicts relapse within a year after receiving treatment, so it is important to realize that they are still working on their recovery process. You need to make sure that they know you’ll be there for them. Try to keep them busy or distracted by promoting healthy habits. You can encourage cooking, baking, and exercising. Some of the healthy habits you can even do with them. Recovery is important for addicts, but the road to recovery is easier when there are friends and family supporting you. If you have any more questions about how to help an addict, you can contact Pathways Treatment and Recovery Center.